Look familiar? 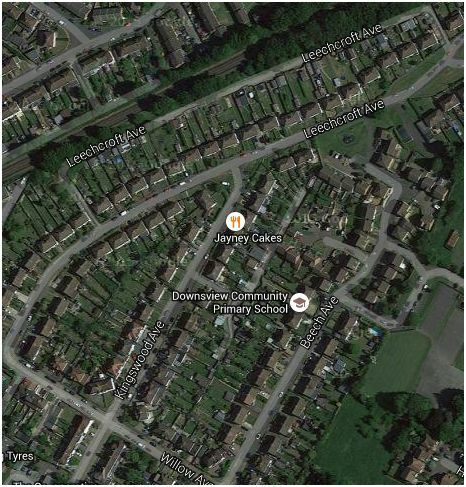 These roads are actually in Carshalton, Surrey. This estate was built by Charles Richard Leech who was also a linoleum maker. He had designed a floor-covering which was of improved quality and cheaper to manufacture than before, and his success meant that he could buy up large areas of land for redevelopment in the early 1930s. 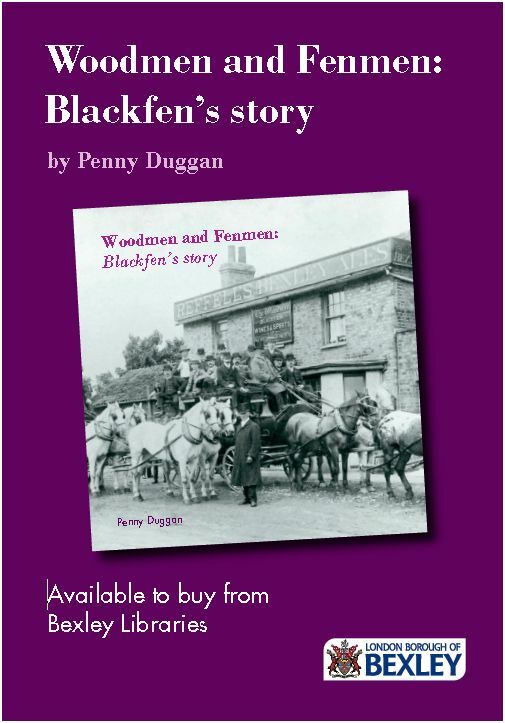 In Blackfen he built hundreds of houses on what had been Westwood Farm, Heaslip’s Farm and Queenswood and he also built houses in Old Farm Avenue, Sidcup and the Kingswood Estate in Swanley. Leech’s 1930s houses and bungalows are still serving us well in Blackfen – although many have been extended and altered, but I would think the original lino flooring in the houses he built is long gone! C. R. Leech built three estates in Blackfen from 1929 onwards: the Burnt Oak Estate on what had been Heaslip’s farm, the Westwood Estate on what had been Westwood Farm, and the Queenswood Estate on what had been Queenswood House. Leech’s estates consisted of a variety of house size for a variety of needs, a mixture of semi-detached bungalows, terraces of four, five and six, and larger semi-detached houses. The roads he built reflected family connections (his wife’s maiden name was Mary Curran) and conjured up a rural setting (Sycamore, Lime, Willow, Ashcroft, Elmcroft, Maple, Beech, Cedar). The origins of ‘Lyndon’ and ‘Burleigh’ are not known. ‘Leechcroft’, of course, remembered the family surname. Born in Rotherhithe, Charles Richard Leech began his work as a tarpaulin maker in Deptford. He later moved to a factory in Carshalton and built houses in the Butter Hill district of Wallington. 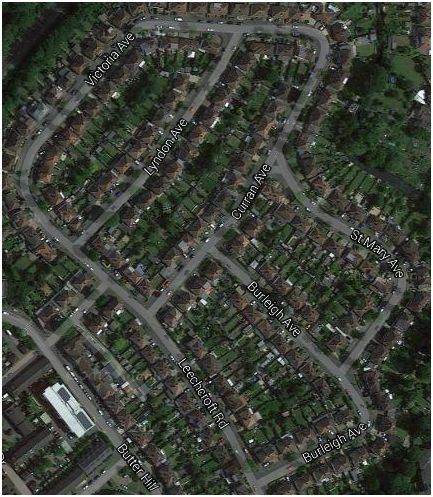 As well as the three estates in Blackfen, he also built houses in Old Farm Avenue Sidcup and the Kingswood Estate, Swanley. C. R. Leech was responsible for the building of hundreds of houses in Blackfen. He bought up farmland and Queenswood House in the early 1930s and built bungalows, terraced and semi-detached houses on the Burnt Oak, Queenswood and Westwood estates. A variety of house styles and sizes catered for a variety of needs, and customers ventured out from crowded inner London to live in houses with more space, fresh air and modern facilities. Originally from Rotherhithe, Charles Richard Leech worked hard as a tarpaulin maker and moved to Carshalton, Surrey in 1922, taking over a floor-cloth factory. He later started building houses in Surrey, and then in Kent, once the prospect of people being able to afford their own homes became a reality. All his family were involved in his house-building business and often lived in houses on the new estates themselves. 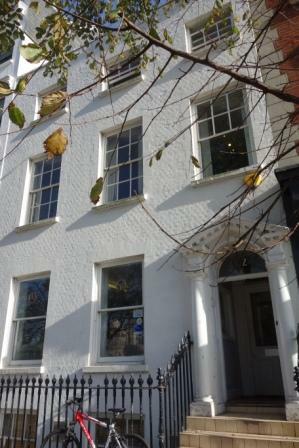 C. R. Leech was a keen yachtsman and at the time of his death in 1952, aged 82, he was living at 12 Old Steine, Brighton. 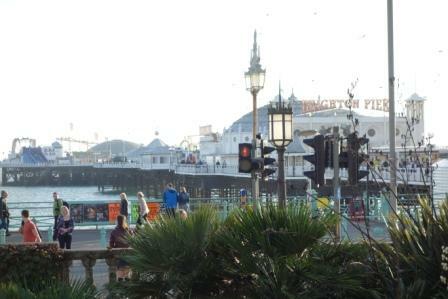 On a recent visit to this popular seaside resort I decided to look for his house. 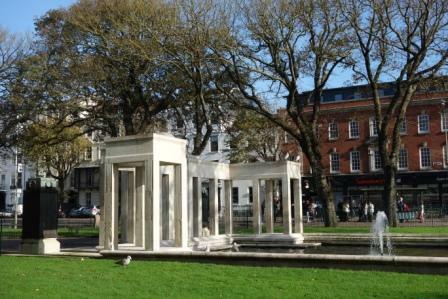 12 Old Steine, Brighton (2014). It is now the premises of an English language college. Next door is a Sainsbury supermarket. This property is just a short distance away from the sea he loved. The house overlooks a lovely green area with the city’s war memorial. After photographing 12 Old Steine, I turned around and was astonished to see the view he had from his house! No wonder he wanted to live there! 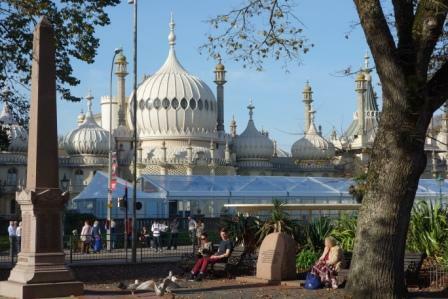 Brighton Pavilion from Old Steine (2014). Leech’s view probably would not have included the ice rink and cafe!